Luciano’s Cadenza Lab label rolls out another release that pushes new talent and forward thinking dance music. 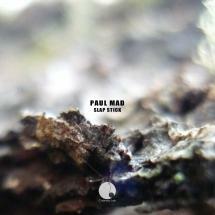 The Hungarian DJ/producer, Paul Mad, delivers a two track single that exemplifies his production chops and keen ear for a groove. “Slap” is built around a steady and swinging groove, spacious drums and rolling fills, sparse percussion making it’s presence felt, but leaving space to let the track breath. The beat heavy cut breaks occasionally for a blissed out pad motif, but when drums are this good, there’s no need to over egg the pudding! Second track, “Stick”, wraps energetic drums around a stabbing chopped vocal hit, filters in full effect. With all the airs and graces of a quality Mood II Swing Dub Mix, Paul Mad carves out a rock solid deeper dancefloor moment for the discerning ears amongst us.